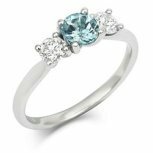 CRED Jewellery offers an outstanding selection of eco-friendly engagement rings and ethical diamond rings for conscientious couples looking for exceptional luxury designer eco-friendly wedding rings. To find out more about the styles, prices, policies and standards of this amazing designer wedding ring boutique, take a look at the info below! CRED was founded in 1996, by Greg Valerio, and from the beginning CRED supported a strong commitment towards customer service, luxury jewelry pieces and ethics. CRED was the first European designer jewelry retailer which sold all jewelry lines with fair trade gold. Today CRED retains a focus on producing 100% fair trade jewelry and supporting the endeavors of the CRED Foundation – a non-profit UK charity assisting grass roots projects which offer opportunities in education, employment, environmental sustainability and community to benefit developing and struggling communities around the world. Based in the UK, CRED has shops in Chichester, West Sussex and London. 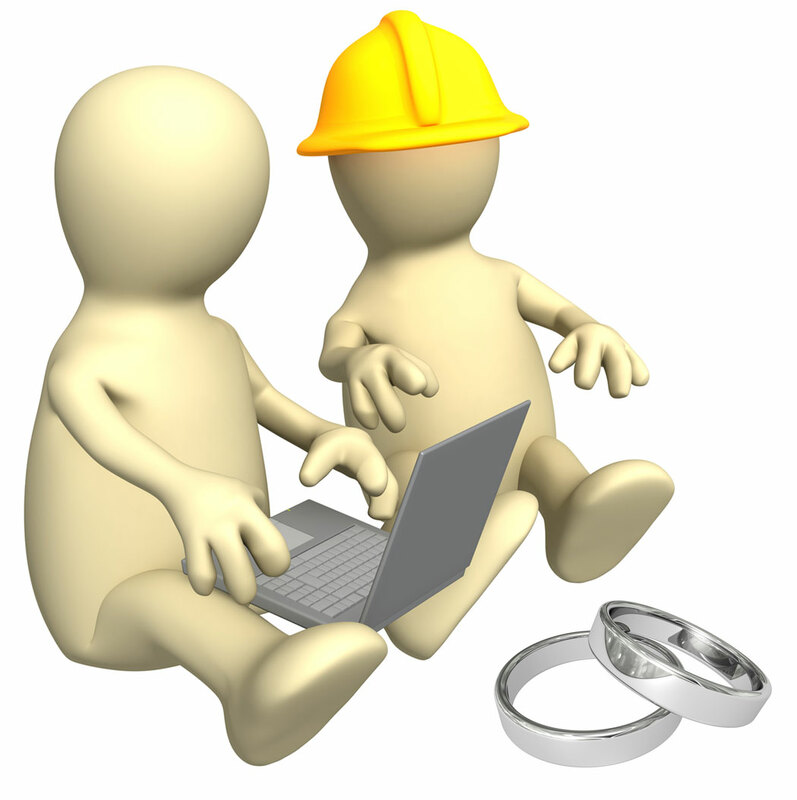 For international orders, customers may order and purchase rings through the CRED website. 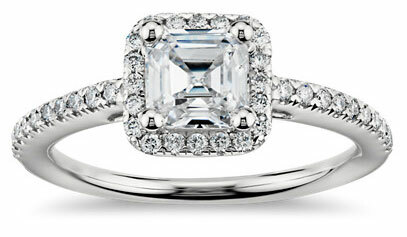 CRED has created a beautiful line of eco-friendly engagement rings and men's and women's wedding bands. The collections include rings made with platinum and 18K white or yellow gold and includes diamond, aquamarine, ruby, red garnet, pink sapphire, purple amethyst, purple iolite, green tourmaline and teal sapphire gemstones. Styles also include antique inspired, classic and contemporary designs from clean metal bands to intricate metal works. 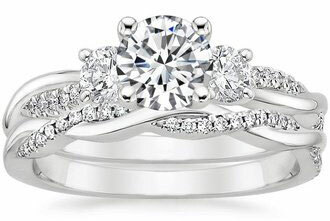 A few engagement ring favorites include the Trilogy and Solitaire lines with a wide range of styles including round brilliant diamond cuts, princess diamond cuts, Art Deco designs and beautiful gemstone wrap creations. All rings may be customized by request. CRED offers a personal design service as well for couples who are looking for one-of-a-kind designer wedding bands and engagement rings. 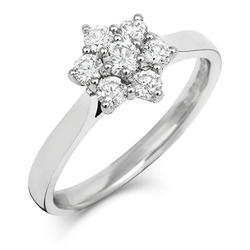 CRED engagement rings and wedding rings are available in price ranges from £500 to over £12,000 pounds. (Online purchases can be converted to other monetary values such as the dollar). Shoppers with a specific budget may enjoy the online user-friendly price selector which displays available rings according to price range (for example, £500 to £1500 pounds, £1500 to £3000 pounds or £3000 to £6000 pounds). CRED Jewellery was founded on solid social and environmental ethics. The CRED line of jewelry is made with precious metals and gemstones that must meet an exacting criterion of social and ethical standards. 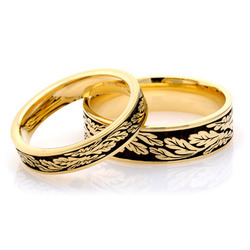 Resources for CRED wedding ring materials include Oro Verde – the first gold supplier in the world to offer certified green gold and comprised of a collection of small-scale mining communities. CRED also uses recycled sterling silver and diamonds which are sourced from Canada, Australia and Namibia through economic and environmentally friendly resources. To date, the CRED foundation continues to search for ethical gemstones and to support the Alliance for Responsible Mining (ARM) to further reduce the environmental impacts of diamond, gemstone and metal mining practices. In addition to supreme ethical standards, representatives also visit the very places which source all jewelry materials – so they can actually meet the communities involved and see how these communities are working towards eco-friendly solutions. CRED ships all rings free of charge through Royal Mail ‘Airsure’ or through FeEx for a fee. International orders are processed in 48 hours and customers will be contacted with an estimated delivery date (International customers may also use the personal design service for customized wedding and engagement rings). Clients may also visit the boutique locations in London or Chichester. As all rings are made to order, CRED will only return unopened jewelry pieces within 7 days of receipt under the UK’s Distance Selling Regulations. If any opened jewelry pieces are found to be defective, CRED will offer a refund or exchange on the product.